Tons of activities, affordable family pricing. Unbelievably well equipped and spacious gymnasium! So many pieces of equipment and a neat running track that keeps boredom at a minimum. Highly recommended the Calgary West Side Recreation center for all your workout and sports play needs! Great facility, pricey drop in. Would be nice if there was a 10 pass. Awesome facility! Clean, friendly staff and great environment. I hereby authorize Westside Regional Recreation Society to collect relevant personal information pertaining to my employment and volunteer history as it relates to the position applied for and verify the references I have supplied. 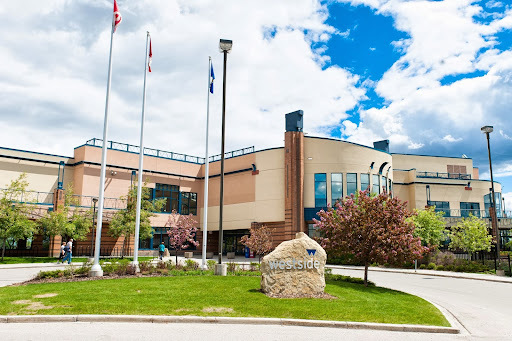 I understand that the information obtained is private and confidential and access to such information is limited to authorized Westside Regional Recreation Society personnel who may require information in order to staff volunteer positions.